In just a few days we will be turning the calendar over to 2019. When I was a little girl I could hardly imagine being in my 40s. Now I’m just a couple years away from turning 50. Yikes! Where did the time go? In all of my almost 48 years, I have consistently struggled with one thing… my identity. I have typically based my identity on what I thought of myself or what I perceived others image of me. Maybe you’ve struggled with this too. I have believed the lie that I am not good enough or qualified enough to do anything special in life. As a believer, though, my identity is not based on what I believe about myself. It is based on Christ and what He has done for me. In other words, we are who we are so we can lead others to know who God is. Our identity is really not about us, it’s about Him. However, it’s not always easy to believe this and apply it to our lives. It’s much easier to adopt identities that are more worldly or reflect who we think we are. Truly believing that our identity rests in Christ alone takes a serious mind shift. I don’t know about you, but I want to quit believing lies about myself. Instead, I want to focus on my identity in Christ. That’s why I chose to focus on discovering your identity in Christ for this month’s Scripture Writing Plan. I hope you will find in these verses clues to what is your identity in Christ. 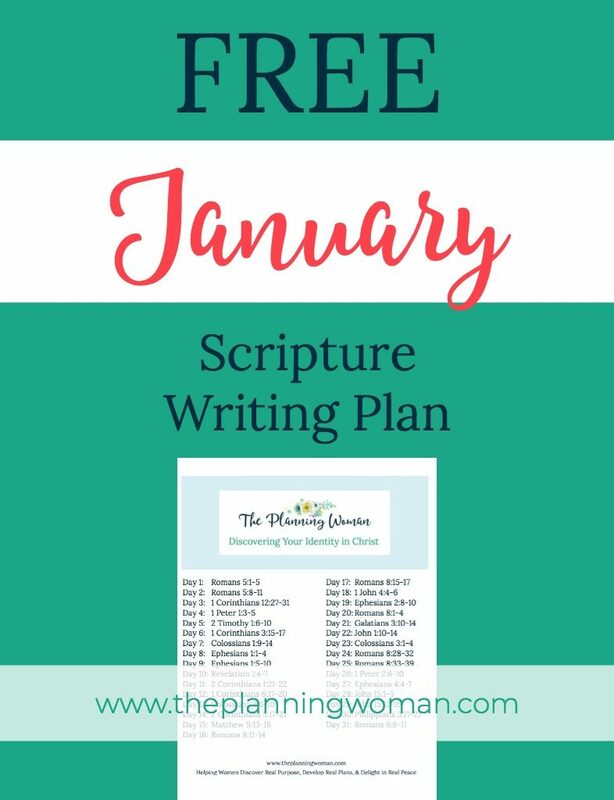 Fill out the box below to get your own copy of the January Scripture Writing Plan.